Note: I am working on the best ways to showcase and photograph my wooden treasures, please forgive the iPhone images until I come up with a method I like better. Any suggestions would be appreciated. Each item is described individually, the images reflect the actual product you will receive. As items are sold, they will be marked accordingly, but their pictures will remain as examples (eventually migrating to the photo gallery area). Below, you will find a list of categories including the number of items currently in each category. Do you see an item marked SOLD and it makes you sad 🙁 ? Would like one with a similar shape? Contact Us to see if it is possible. 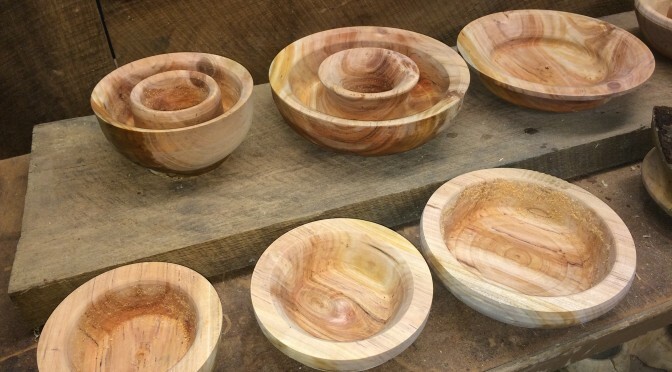 Would you like salad bowls or other functional pieces made from a specific species of wood, or do you have a favorite tree that has lost a limb, or the whole tree has to be removed? I will consider all custom orders. NOTE: Wood is a natural product, and shape for me is an artistic expression (even for more generic salad bowls, etc…) Do not expect an exact duplicate of any item. Keeping that in mind, if you desire closely matched sets I will consider the possibility.